Over the next few weeks, Expert Advice, Made Easy is going to take a look at some common problems with your bike and show you how you can deal with them with easy to follow step-by-step instructions. Remember, the more you look after your bike and perform small maintenance on it (before and after you use it), the better condition it will stay in, the less punctures you will get, and the less you will end up taking it to the bike repair shop. That will save you time and money! Let's start with something simple – removing the wheels. Many maintenance tasks require a wheel to be removed so it's important you know how to do it. First you will need to unhook the brakes to make enough room for the wheel to come out. 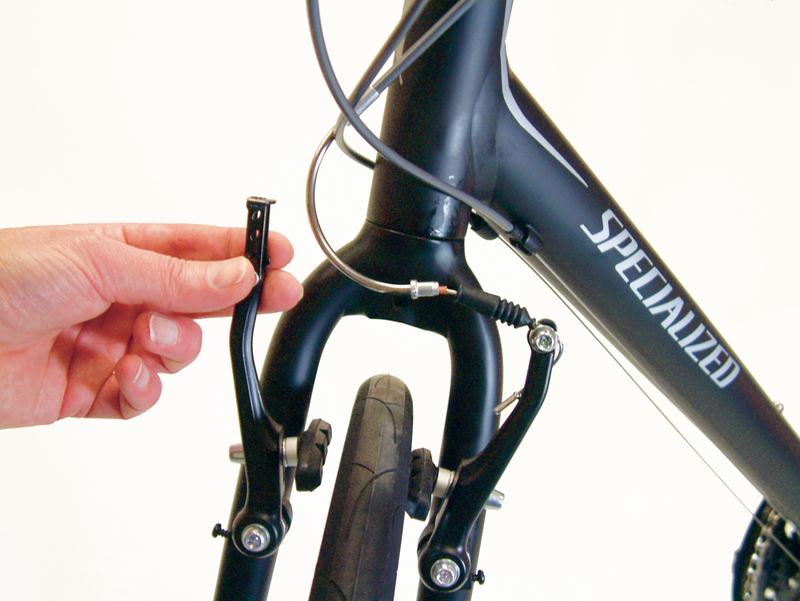 Cantilever brakes: These can usually be disengaged by unhooking the straddling wire. V-brakes: These can be lifted out of their cradle. Caliper brakes: These sometimes have a small lever at the brake end of the cable, which will disengage the cable when lifted. 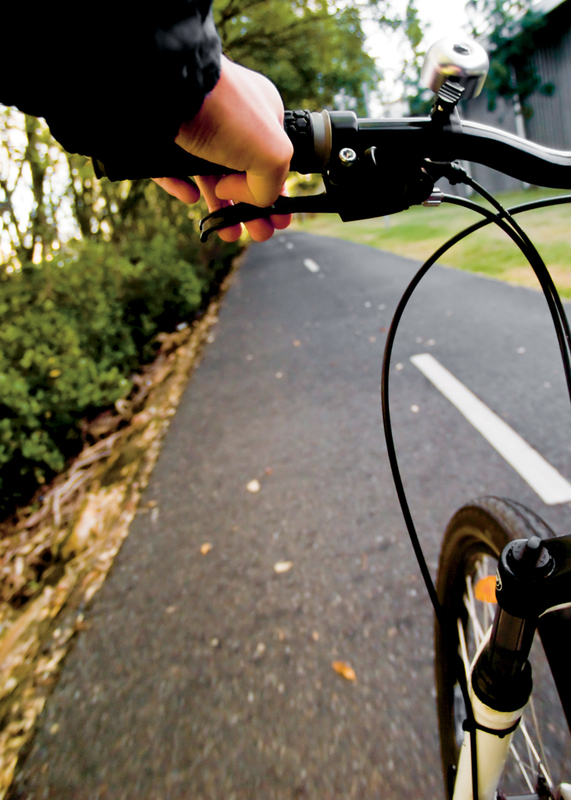 With the brakes disengaged, place the bicycle on the work stand or turn it upside down. The wheel will be held between the forks with either nuts or a quick-release mechanism. The latter has an arm extending from it that you can pull to release the wheel. 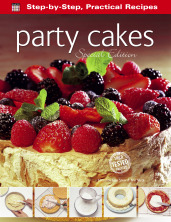 If it is held with nuts, you can loosen them with appropriate-sized spanners. If they are very tight, spray some lubricant on them. You can now remove the wheel. To replace the wheel, guide the axle into the slots in the forks. These slots are called dropouts. If securing the wheel with nuts, make sure the washer is on the outside of the fork. Tighten each nut a little at a time, alternating between the two. For quick-release, turn the knob clockwise with the lever in the open position then close it. It should close firmly but not be so stiff that it is a struggle. If it is tough, release it and turn the knob slightly anticlockwise. Make sure the wheel is aligned between the forks and test it is secure by hitting the side of the tyre with the palm of your hand. It should not slip to the side. Reconnect the front brake and check to make sure the pads are aligned correctly. If you deflated the tyre then re-inflate it. Shift your gears so that the chain is on the smallest sprockets, front and rear. Release the brakes in the same way as described for a front wheel. 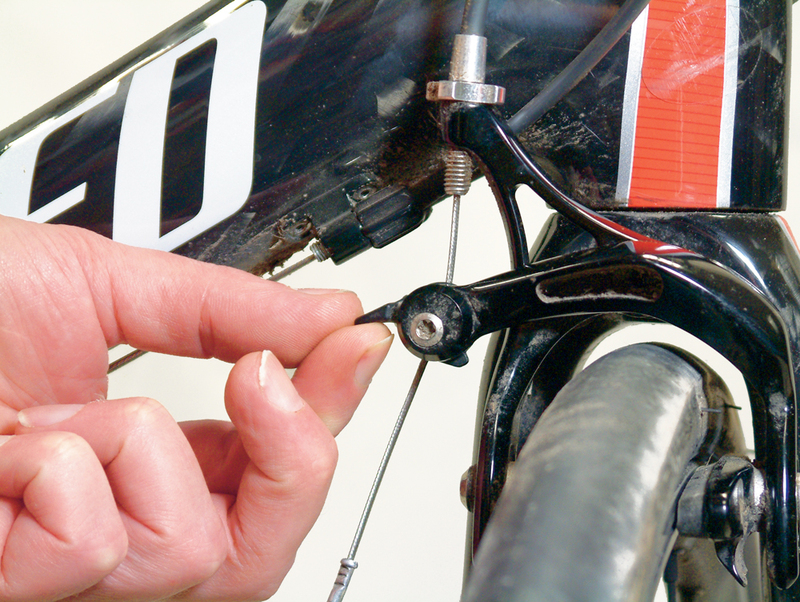 Pull back the derailleur if you have one and open the quick-release, or loosen the securing nuts, then remove the wheel. 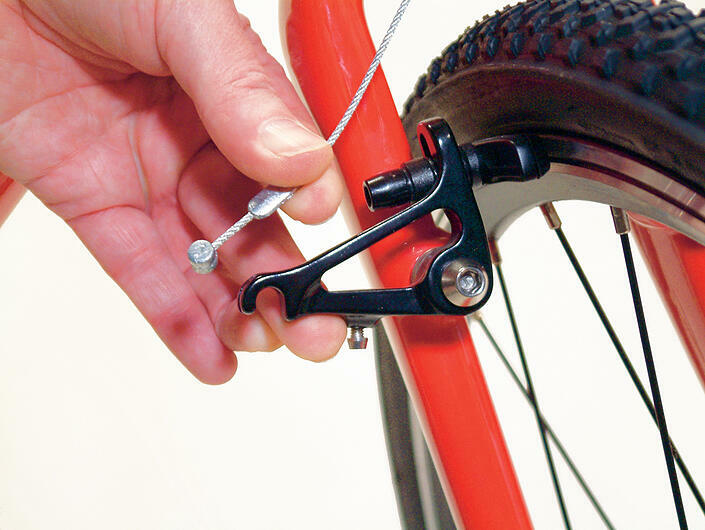 To replace the wheel, guide the chain onto the smallest sprocket and the axle into the fork dropouts. Once in place tighten with the quick-release mechanism or nuts in the same way as for the front wheel, making sure it is aligned and secure. Reattach the brakes and make sure they are properly aligned. If you deflated the tyre then re-inflate it. So that's how to remove the front and back wheels from your bike. Easy! Next time we'll look at something a little more taxing, how to fix a puncture.